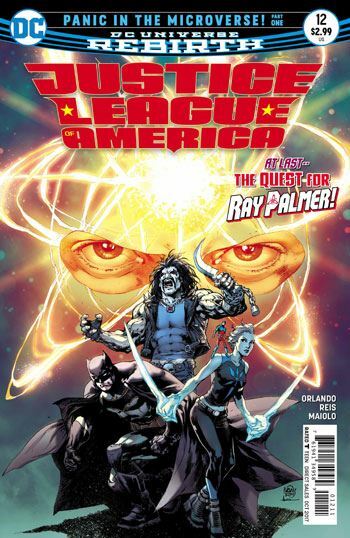 The Justice League, lead by Ryan Choi, begin their hunt for Ray Palmer in this issue, but the real star of the tale is the art, by Ivan Reis. 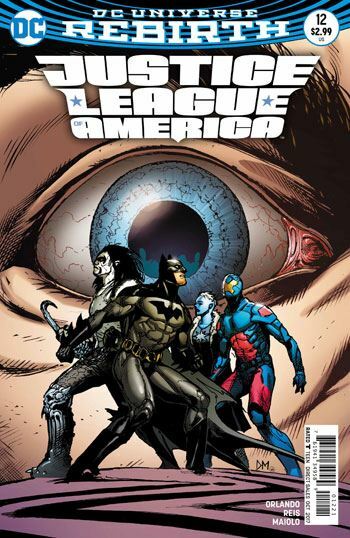 A couple of times in the original Justice League of America book the Atom lead the team down into the Microverse. While those tales had their merits, neither could hold a candle to the stunning art Reis provides on this journey. Orlando briefly develops a couple of subplots as well. Batman informs Lobo that this mission will complete the “debt” that he owes, and the Ray and Xenos continue their growing romance. But those storylines quickly take a back seat once the Atom finds a signal from Ray Palmer, emerging from the Microverse he entered. Ryan loads the team aboard his “shrinkship” and leads them through some wild visuals on the trail of his mentor. There is some action along the way, and a nicely ominous final page. But, in truth, the plot, for this issue at least, is merely serviceable. Whether it works or not depends entirely on the art, and that is why I credit Reis over Orlando for this specific issue. The finale is enough of a tease that I have faith in the remainder of the storyline, that Orlando will deliver some more interesting twists and turns along the way. But I have to admit, with Reis executing the art, I won’t even mind if he doesn’t.